Sabine Wehnert, Wolfram Fenske, and Gunter Saake. Context Selection in a Heterogeneous Legal Ontology. In Holger Meyer, Norbert Ritter, Andreas Thor, Daniela Nicklas, Andreas Heuer, and Meike Klettke, editors, BTW 2019 – Workshopband , volume P-290 of Lecture Notes in Informatics (LNI) , pages 129–134. Gesellschaft für Informatik, March 2019. Jacob Krüger, Jens Wiemann, Wolfram Fenske, Gunter Saake, and Thomas Leich. Understanding How Programmers Forget. In Software Engineering and Software Management , SE/SWM LNI, pages 85–86. GI, February 2019. Sandro Schulze and Wolfram Fenske. Analyzing the Evolution of Preprocessor-Based Variability: A Tale of a Thousand and One Scripts. In International Working Conference on Source Code Analysis and Manipulation (SCAM) , pages 50–55. IEEE, 2018. Jacob Krüger, Louis Nell, Wolfram Fenske, Gunter Saake, and Thomas Leich. Finding Lost Features in Cloned Systems. In International Systems and Software Product Line Conference , SPLC, pages 65–72. ACM, September 2017. Wolfram Fenske, Jens Meinicke, Sandro Schulze, Steffen Schulze, and Gunter Saake. Variant-Preserving Refactorings for Migrating Cloned Products to a Product Line. In International Conference on Software Analysis, Evolution and Reengineering (SANER) , pages 316–326. IEEE, 2017. Wolfram Fenske, Sandro Schulze, and Gunter Saake. How Preprocessor Annotations (Do Not) Affect Maintainability: A Case Study on Change-Proneness. In International Conference on Generative Programming: Concepts & Experience (GPCE) , pages 77–90. ACM, October 2017. Jacob Krüger, Wolfram Fenske, Jens Meinicke, Thomas Leich, and Gunter Saake. Extracting Software Product Lines: A Cost Estimation Perspective. In International Systems and Software Product Line Conference , SPLC, pages 354–361. ACM, September 2016. Tristan Pfofe, Thomas Thüm, Sandro Schulze, Wolfram Fenske, and Ina Schaefer. Synchronizing Software Variants with VariantSync. In Proceedings of the International Software Product Line Conference (SPLC) , New York, NY, USA, September 2016. ACM. Wolfram Fenske. Code Smells in Highly Configurable Software. In Doctoral Symposium of the International Conference on Software Maintenance and Evolution (ICSME) , pages 602–605. IEEE, September 2015. Wolfram Fenske and Sandro Schulze. Code Smells Revisited: A Variability Perspective. In International Workshop on Variability Modelling of Software-intensive Systems (VaMoS) , pages 3–10, New York, NY, USA, January 2015. ACM. Wolfram Fenske, Sandro Schulze, Daniel Meyer, and Gunter Saake. When Code Smells Twice as Much: Metric-Based Detection of Variability-Aware Code Smells. In International Working Conference on Source Code Analysis and Manipulation (SCAM) , pages 171–180. IEEE, 2015. Wolfram Fenske, Thomas Thüm, and Gunter Saake. A Taxonomy of Software Product Line Reengineering. In Proc. Int’l Work. on Variability Modeling of Software-Intensive Systems (VaMoS ’14) , pages 4:1–4:8, New York, NY, USA, January 2014. ACM. Cerstin Mahlow, Michael Piotrowski, and Wolfram Fenske. A solid foundation: Why e-assessment should be based on a systematic typology of test items. In Miguel B. Nunes and Maggie McPherson, editors, Proceedings of the IADIS International Conference E-Learning 2010 , volume 2, pages 47–51. IADIS Press, July 2010. Michael Piotrowski and Wolfram Fenske. Interoperabilität von elektronischen Tests. In DeLFI 2007, 5. e-Learning Fachtagung Informatik , volume 111 of LNI , pages 185–196. GI, 2007. Philipp Müller. Migrating Cloned Software Products: A Better Mousetrap for Finding Similar Code. 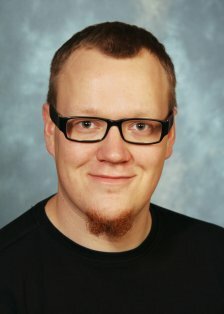 Master's thesis, University of Magdeburg, School of Computer Science, Magdeburg, Germany, June 2018. Maria Kanyshkova. Symbolisches Debuggen von Software-Produktlinien. Bachelor thesis, University of Magdeburg, May 2017. In German. Jens Wiemann. Measuring Code Familiarity in Forked Product Variants. Master's thesis, University of Magdeburg, April 2017. Jacob Krüger. A Cost Estimation Model for the Extractive Software-Product-Line Approach. Master thesis, University of Magdeburg, Germany, February 2016. Steffen Schulze. Feature-orientiertes Refactoring zur Migration von Produktvarianten. Master thesis, University of Magdeburg, Germany, February 2016. In German. Tristan Pfofe. Automating the Synchronization of Software Variants. Master thesis, University of Magdeburg, Germany, January 2016. Daniel Meyer. Metrics-Based Code Smell Detection in Highly Configurable Software Systems. Master thesis, University of Magdeburg, Germany, December 2015. Konstantin Tonscheidt. Leveraging Code Clone Detection for the Incremental Migration of Cloned Product Variants to a Software Product Line: An Explorative Study. Bachelor thesis, University of Magdeburg, Germany, June 2015.